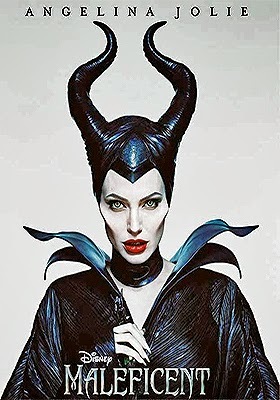 Director Robert Stromberg’s summer smash starring Angelina Jolie, Maleficent, has been given a Nov. 4 release date for DVD and Blu-ray/DVD Combo Pack edition. This prime Christmas-selling season Tuesday yields an ARR of 158 days … ticket sales currently clocked in at $228.3 million. Despite hit status and the opportunity to use this year’s Comic-Con International showcase in San Diego to push this re-imagining of the Sleeping Beauty classic, Walt Disney Studios Home Entertainment has let Amazon.com and Ingram’s Videoeta.com (among others) get out in front of the “official” announcement. Tsk, tsk for being “asleep” on this one. There’s some terrific news out of VCI Entertainment this week. It’s about a real-life Western legend. No, make that an international legend! There was no doubt about it; legend she was. She was born Phoebe Ann Moses at the beginning of the Civil War — the Western frontier was still untamed — and grew up in poverty in western Ohio and as a result she only had a smattering of formal education. And there her story might have ended. But, Phoebe Ann had one amazing skill, she could shoot like any man … and pound for pound she was tougher than most. At the age of 15, and barely five-feet tall, she was pitted against the best shot in the land (a fellow named Francis E. Butler) at an event in Cincinnati, Ohio on Nov. 25, 1875 (Thanksgiving Day) for a cash prize of $100. For 24 rounds they matched each other shot for shot … and then he missed (he would marry her the following year). The legend of Annie Oakley was born that day. She would become a fixture with Buffalo Bill's Wild West during the 1880s, be adopted by Sitting Bull and hob-nob with the likes of Queen Victoria and Kaiser Wilhelm … Teddy Roosevelt even named the “Rough Riders” in her honor. Barbara Stanwyck portrayed her in director George Stevens’ 1935 film hit, Annie Oakley and 15 years later (1950) Betty Hutton did the same in the musical smash, Annie Get Your Gun. This did not go unnoticed and none other than Gene Autry, a Western star in his own right, who teamed with filmmaking legend Armand Schaefer, plus Colbert Clark and Louis Grey (who had all been associated with Autry over the years) to launch Annie Oakley, the television series. 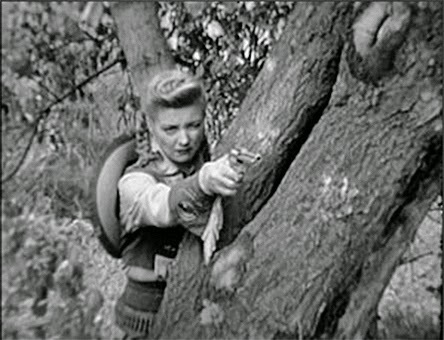 Having worked on The Gene Autry Show (as different characters), it was only natural that Gail Davis would be the star of the new series, which was simply titled Annie Oakley. She was perfect for the role. For three full seasons she starred (1954/55 through 1957/58 — 81 glorious Western adventures) as a fictionalized version of Annie Oakley (transplanted to Arizona, but actually filmed in Chatsworth and Corriganville, with location shots in Lonepine). The guest stars read like a who’s who of the period and include the likes of Harry Lauter, Walter Reed, Roy Barcroft, Slim Pickens … even the original Superman, Kirk Alyn. 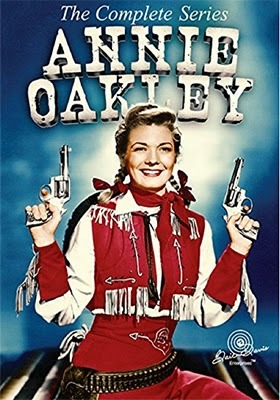 Episodes have been hard to come by (VCI Entertainment even put out a few on a double-disc set some time back), but on Oct. 21 fans can celebrate the arrival of Annie Oakley: The Complete Series — all 81 episodes spread over a massive 11 disc DVD collection. Bonus features include a newly-prepared feature-length documentary on the series star, Gail Davis, the original TV pilot featuring Billy Gray (best known as Bud in the Father Knows Best television series from this same period) as her brother Tagg (Jimmy Hawkins would take on that role in the actual series), an accompanying episode guide and not one, or two, or even three, but seven complete photo galleries from the personal collection of Gail Davis. News arrived this week that Lucy will shine in a four-film collection that will be available as a double-disc DVD from Mill Creek Entertainment on Sept. 30. 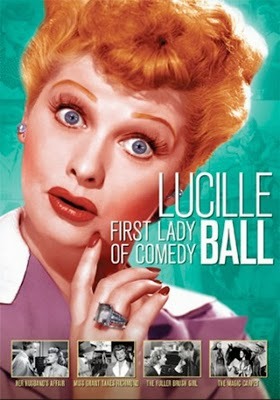 Titled Lucille Ball: First Lady of Comedy — and carrying a collectible SRP of just $9.98 — this sweet selection of classic Lucille Ball film treats includes Miss Grant Takes Richmond (1949, with William Holden), Her Husband's Affair (1947, Franchot Tone), The Fuller Brush Girl (1950, Eddie Albert) and The Magic Carpet (1951, John Agar). Also on the same date (Sept. 30) are two additional four-film collections (also priced at just $9.98 each). These are: Gone Country, which includes Songwriter (1984, teaming legends Willie Nelson and Kris Kristofferson), Bloodworth (2011, with Kris Kristofferson, Dwight Yoakam, Val Kilmer and Hilary Duff), Falling from Grace (1992, John Mellencamp and Mariel Hemingway) and Don't Come Knocking (2006, Sam Shepard and Jessica Lange) and John Wayne: Early Western Collection (Range Feud, Two-Fisted Law, Texas Cyclone and Angel and the Badman). Also added to the Sept. 30 DVD release calendar is the ten-episode collection of Rin Tin Tin K-9 Cop (starring Jesse Collins, Andrew Bednarski and K9 star Rudolph Von Holstein III (aka: Rudy)). 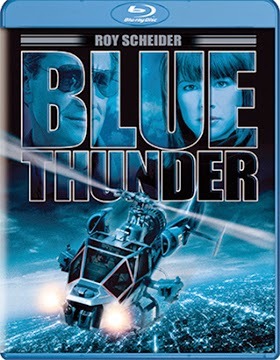 Director John Badham’s 1983 crime thriller, Blue Thunder, starring Roy Scheider, Daniel Stern, Warren Oates and Candy Clark, joins Krull, I Know What You Did Last Summer and Walk Hard: The Dewey Cox Story as priced-to-own Blu-ray product offerings on Mill Creek Entertainment’s Sept. 30 release calendar. 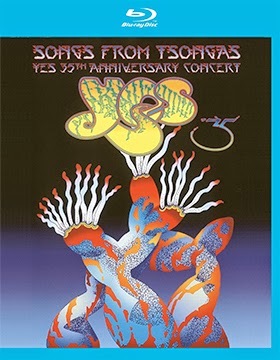 Eagle Rock Entertainment has tabbed Sept. 23 as the street date for Blu-ray and double-disc DVD editions of Yes’ Songs From Tsongas: 35th Anniversary Tour. The companion concert is from the same 2004 tour and was filmed at the Estival in Lugano, Switzerland. Included here are some 70 minutes worth of bonus footage being revealed for the first time! Warner Home Video will be stomping the competition on Sept. 16 with Blu-ray/DVD Combo Pack (with or without a 3D viewing option) and double-disc DVD editions of director Gareth Edwards’ Godzilla, a successful rework of the Japanese-inspired post-war creation of Gojira. The film is just shy of $200 million in domestic ticket sales (which should be reached any day now) and this mid-September Tuesday yields an ARR of 123 days. 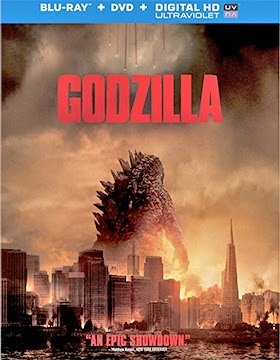 Godzilla, a fixture in over two-dozen films since 1954, has been a “bad” monster and a “good” monster (sometimes on the “hero” side of the action simply because he seemed to be the lesser of two evils), but this time out he is clearly cast as the hero of the piece. Ironically so, since the creation of the MUTO (Massive Unidentified Terrestrial Organism) creatures he battles are a direct result of earlier attempts to destroy this kind-hearted and very misunderstood beast. Another nice “ironic” touch provided by filmmaker Gareth Edwards is the homage climatic battle in San Francisco, which was also the home to the 1955 finale of It Came from Beneath the Sea. Bonus features include “MONARCH: Declassified” (a nifty three-part exposé on Godzilla and “The Legendary Godzilla” (a four-part series of featurettes that focus on behind-the-scenes action). Also added to the release calendar this week for delivery on Nov. 11 are Blu-ray editions of director Peter Godfrey’s 1945 romantic comedy hit, Christmas in Connecticut — starring Barbara Stanwyck, Dennis Morgan and Sydney Greenstreet — and the 1938 version of A Christmas Carol starring Reginald Owen and Gene Lockhart (not to be confused with VCI Entertainment’s 1951 version starring Alastair Sim). 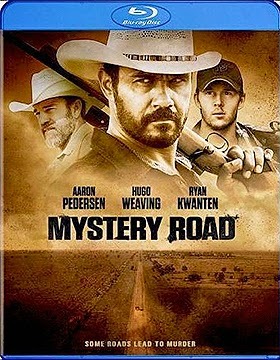 Well Go USA imports from Down Under on Oct. 14 DVD and Blu-ray editions of writer/director Ivan Sen’s murder/mystery thriller, Mystery Road. Nominated for Best Picture at this past year’s AFI Awards (Australian Film Institute) and winner of the Film Critics Circle of Australia Awards for Best Picture, Mystery Road delivers everything we have come to expect from well-made Australian films. A teenage girl — an Aboriginal girl at that — has been murdered and left for the dingos to feed on along the remote A2 highway that meanders through the outback of Queensland (filmed in and around the hamlet of Winton … which is pretty much in the middle of nowhere). Returning home after a stint in the “big city” is detective Jay Swan (Aaron Pedersen), a half-caste, who doesn’t really belong to either “side,” but he is nevertheless assigned the case. With stunning landscapes (think: No Country For Old Men) and hostility at every turn, Swan sets about to solve this whodunit. There will be drugs, crime, hookers and his own police compatriots to contend with … throw in an ex-wife (Tasma Walton) and an estranged daughter — who seems connected to the murder — and you have all the makings of a first class crime drama. The third act features a shootout like none other. It’s very Aussie; very cool! 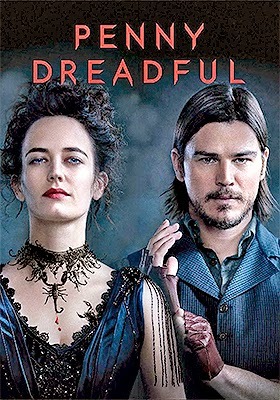 Paramount Home Media Distribution used the backdrop of this year’s Comic-Con International gathering in San Diego to reveal an Oct. 7 release date for DVD and Blu-ray sets of the Showtime hit series, Penny Dreadful: Season One. Inspired by the pulp fiction serialized publications of the Victorian Era in England, this launch season features all eight horror-themed tales (spread over three discs) and stars Reeve Carney as Dorian Gray, Harry Treadaway as Dr. Victor Frankenstein, who are joined by Eva Green as Vanessa Ives, her hired gun Josh Hartnett as Ethan Chandler and none other than Timothy Dalton as Sir Malcolm Murray (a man on a mission). 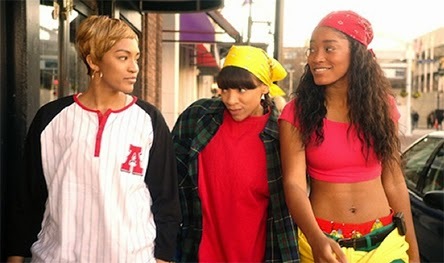 Also added to the release calendar this week is CrazySexyCool: The TLC Story, Director Charles Stone III’s bio pic on the life and times of the Hip Hop trio TLC. The street date for the DVD debut is Oct. 21. T-Boz (aka: Tionne Watkins) is played by Drew Sidora, Keke Palmer is Chilli (aka: Rozonda Thomas) and Left Eye (aka: Lisa Lopes) is portrayed by recording artist Lil Mama (aka: Niatia Jessica Kirkland) … T-Boz, Left Eye and Chilli: TLC! 20th Century-Fox Home Entertainment cut loose this week with not one, but two summer hits that will be hitting retail during the post-Labor Day period. 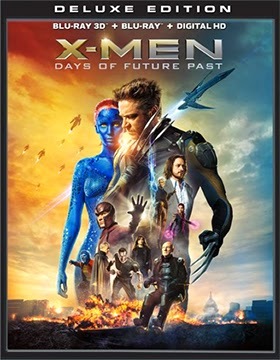 Using this year’s Comic-Con International creature-fest to announce an Oct. 14 street date for director Bryan Singer’s X-Men: Days of Future Past was a smart use of the annual venue — sci-fi, horror, fantasy … it’s the perfect venue for films and franchises with such themes. Planned for that date are a three-SKU helping: A stand-alone DVD edition and Blu-ray editions with or without a 3D presentation (premium is ten bucks). The ARR comes in at 144 days and summer theatrical revenues currently stand at $230.5 million. Bonus features include a gag reel, a half-dozen featurettes and deleted scenes with commentary by Bryan Singer. 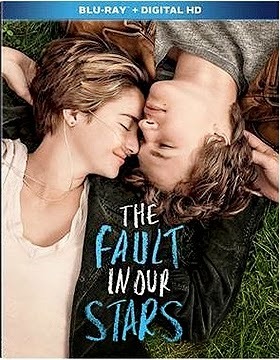 Also getting a street date is director Josh Boone’s hit film adaptation of John Green’s best-selling weeper, The Fault in Our Stars. The street date for DVD and Blu-ray/DVD Combo Pack editions is Sept. 16. There is also a “Little Infinities Edition” for Blu-ray that includes an extended presentation of the film. The ARR comes in at 102 days and ticket sales are $121.6 million. Bonus features include commentary from filmmaker Josh Boone, who is joined by author John Green … six deleted scenes and six featurettes.